Second star to the right, and straight on till morning! 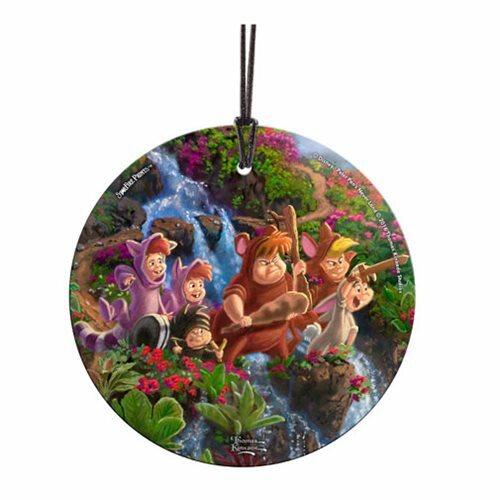 The Peter Pan Lost Boys StarFire Prints Hanging Glass Ornament features a beautiful image created by Thomas Kinkade Studios. Translucent yet vibrant with color, the 3 1/2-inch diameter Peter Pan Lost Boys StarFire Prints Hanging Glass Ornament is designed to capture the natural light, making it a true piece of art. It comes with a display ribbon and arrives ready for display. This is a must have for fans of Walt Disney's classic Peter Pan.